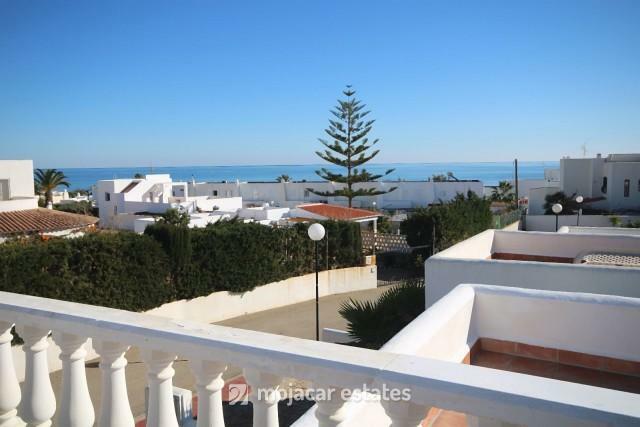 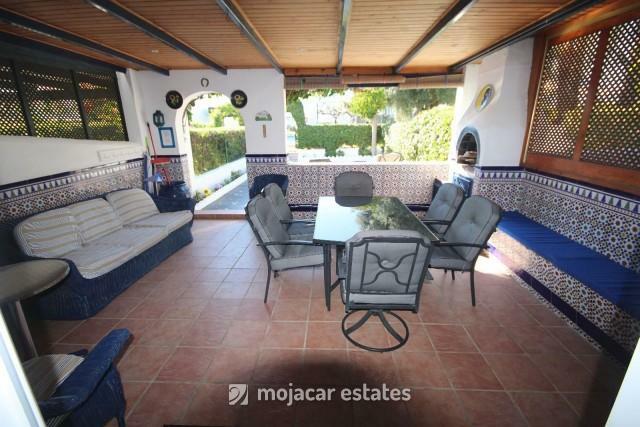 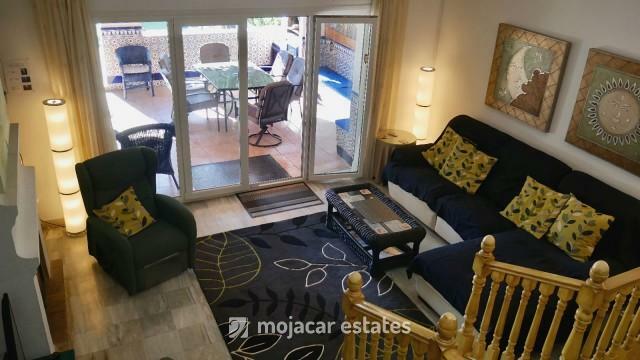 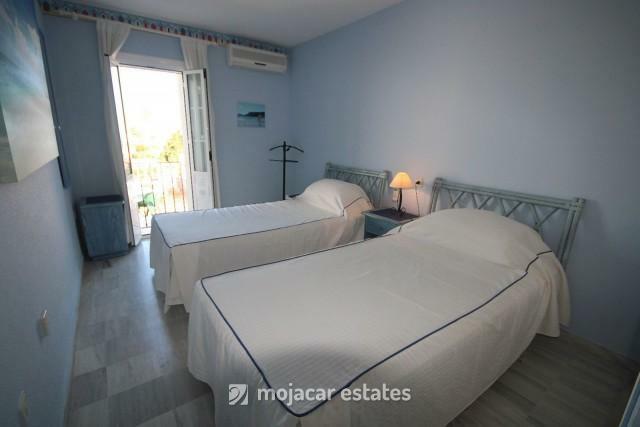 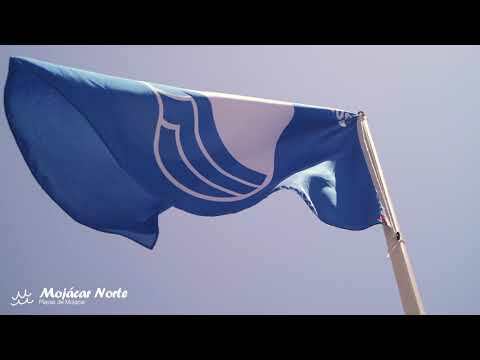 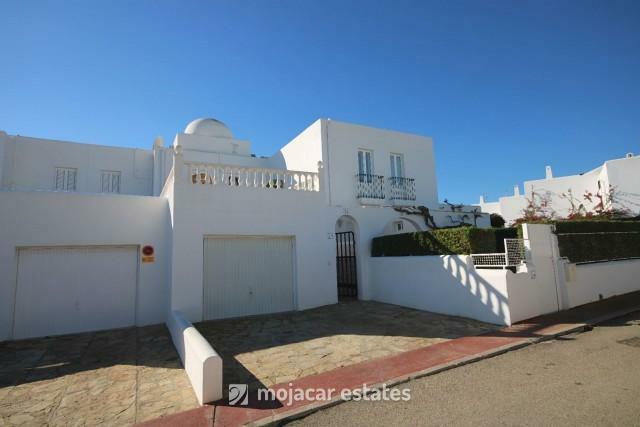 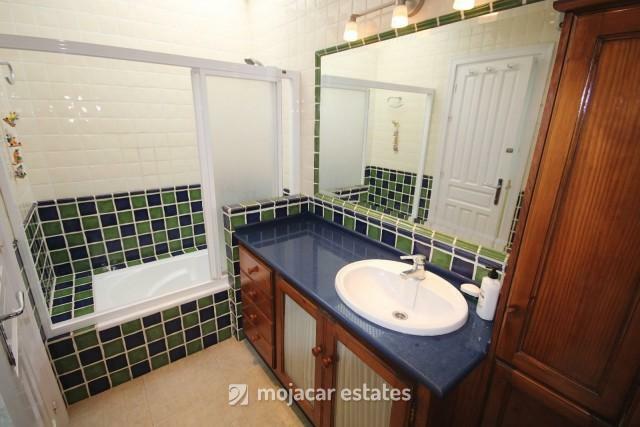 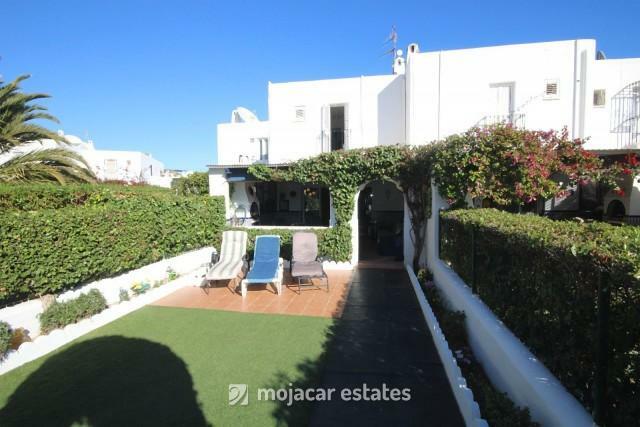 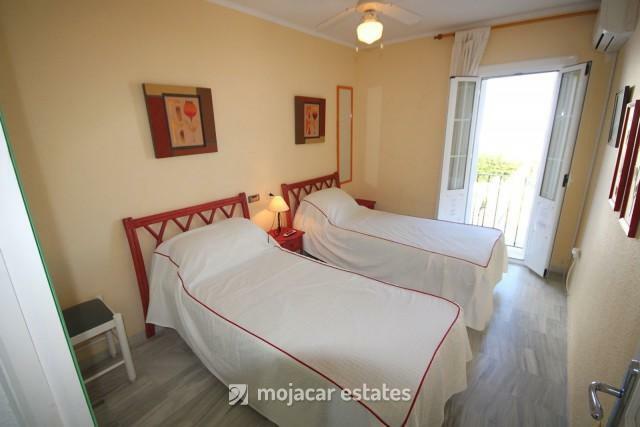 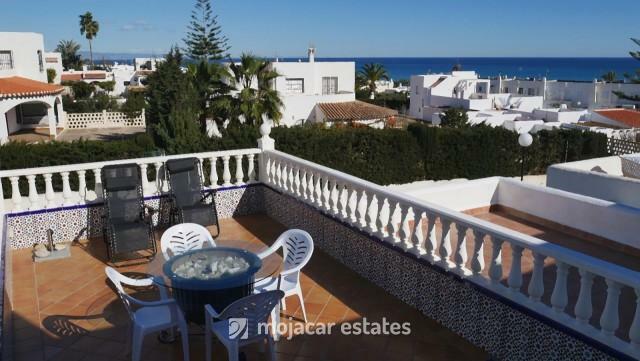 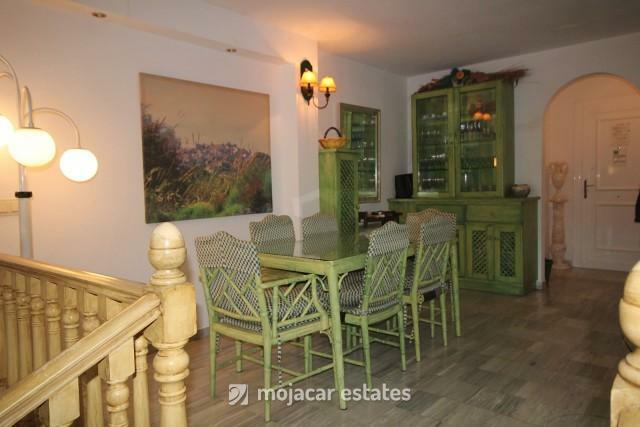 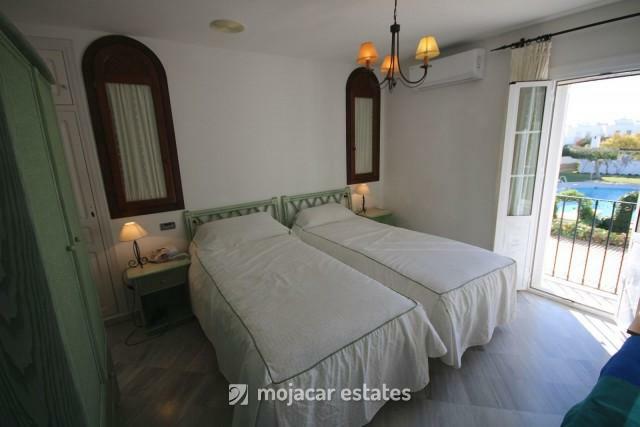 This is an immaculate property that has been very well looked after and is located on one of the best urbanisations in Mojacar, on a quiet cul-de-sac. 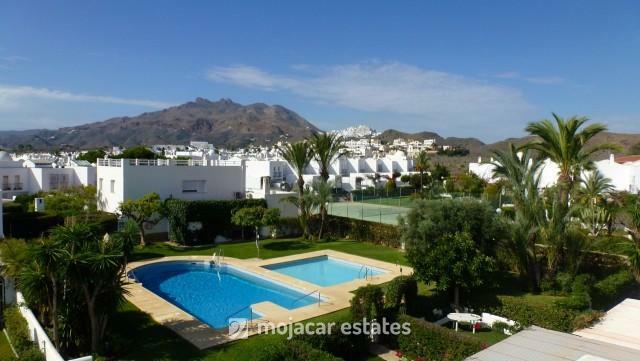 The urbanisation boasts a large communal swimming pool plus a children´s pool, a tennis court and a large communal garden. 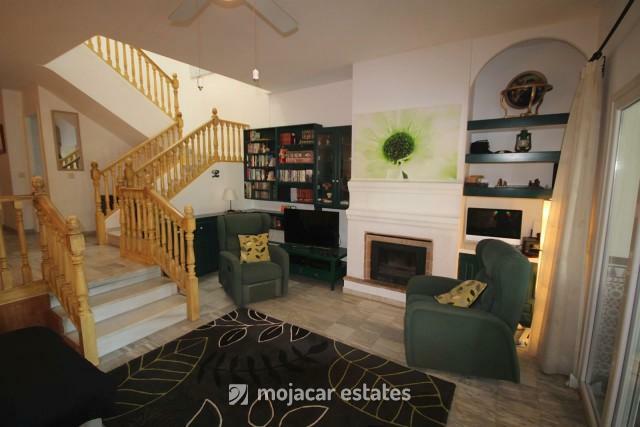 The property has an off-street parking space and a private lock-up garage. 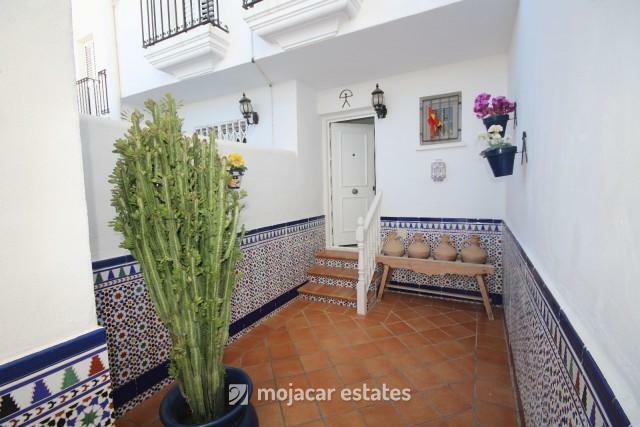 You enter the property via a Spanish style patio lined with pretty tiles. 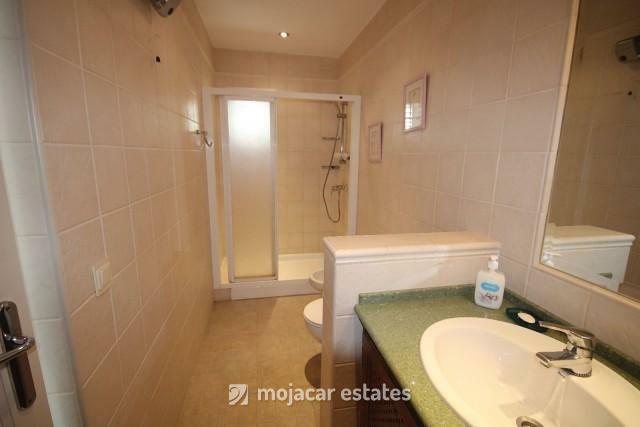 A couple of steps take you to the front door which leads into a hall with a cloakroom off to the right and kitchen off to the left. 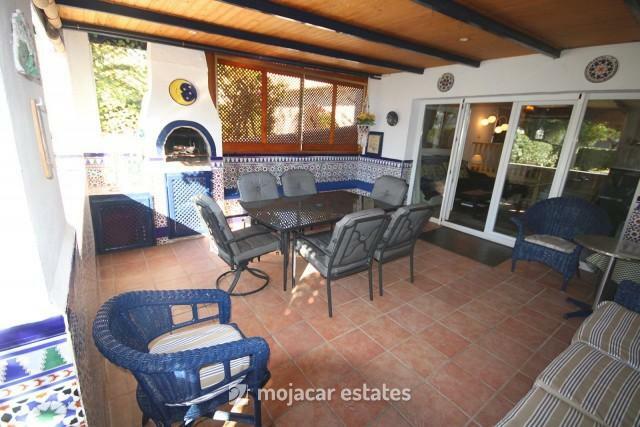 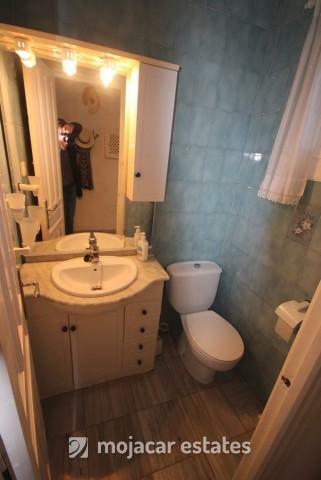 You then come into a large open plan dining / sitting room with a log burner and AC. 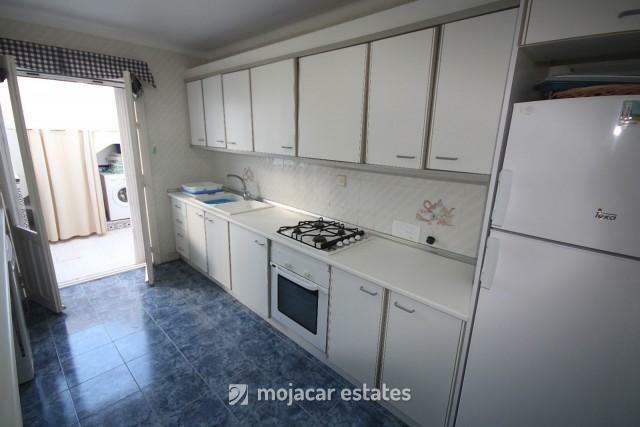 The fully fitted kitchen has doors out to a small patio with the washing machine and stairs that lead up to the north - east facing roof terrace on top of the garage with fabulous sea views.